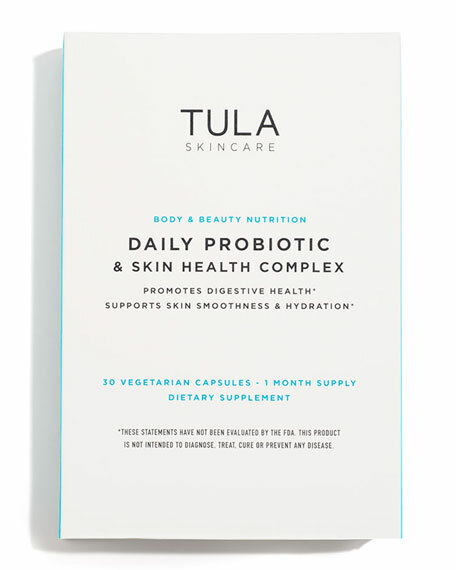 A daily probiotic and skin health complex from TULA Probiotic Skincare. TULA has combined probiotics with ceramides, the building blocks of skin, and vitamin C, a powerful antioxidant, to bring you the most complete body and beauty nutrition supplement. Probiotics help with digestive health and balance*, ceramides aid with hydration and skin barrier function, while vitamin C helps with skin tone, radiance and provide anti-oxidant protection. *Research shows that supporting your body's digestive system has an effect on your overall immunity and skin health. Conditions such as acne, collagen breakdown, and sensitivity are all in part caused by inflammation. Probiotics' ability to calm inflammation can help alleviate these conditions, resulting in healthier skin. *The above statement has not been evaluated by the Food and Drug Administration. This item is not intended to diagnose, treat, cure or prevent any disease. 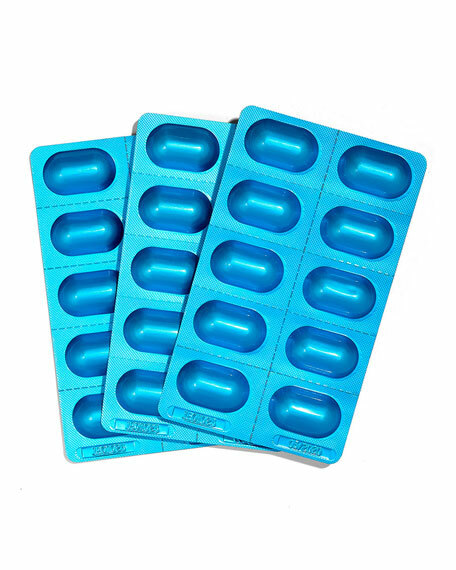 *Consult your doctor before starting a new supplement regimen. Probiotics: Lactobacillus Rhamnosus GG the #1 clinically studied strain in the world to aid with digestive health. Lactobacillus Plantarum: Research shows this strain helps support optimal skin function. Bifidobacterium Infantis: Naturally improves metabolism and prevents bloating after meals. Ceramides: The ceramides in our supplement are clinically proven to help the skin retain moisture, promote firmness and a smoother texture. Vitamin C: Vitamin C is a powerful antioxidant which is linked to many anti aging benefits. This makes it a vital ingredient for skin health and collagen production. 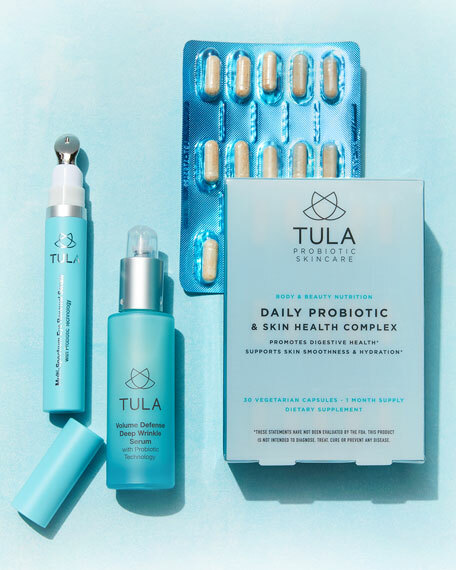 TULA Probiotic Skincare is built on the belief that the same ingredients that are good for your internal health are also great for your skin. 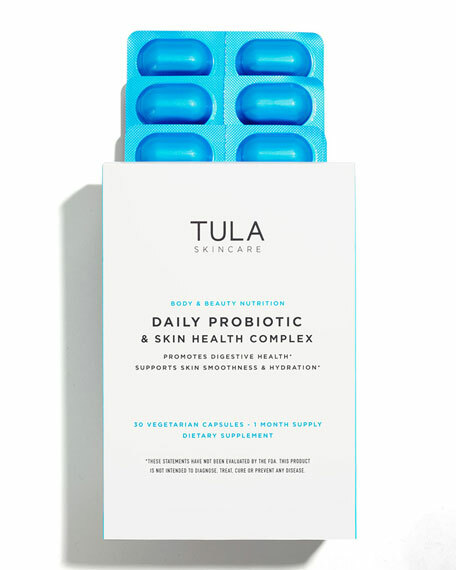 TULA products are formulated with patented Probiotic Technology to deliver skin-nourishing benefits. Founded in 2014 by Dr. Roshini Raj, a practicing Gastroenterologist and media wellness expert (CNN, The Today Show, Medical Editor of Health Magazine and best selling author). TULA was co-founded by Ken Landis, Co-Founder of Bobbi Brown Cosmetics, and Dan Reich, a tech entrepreneur.